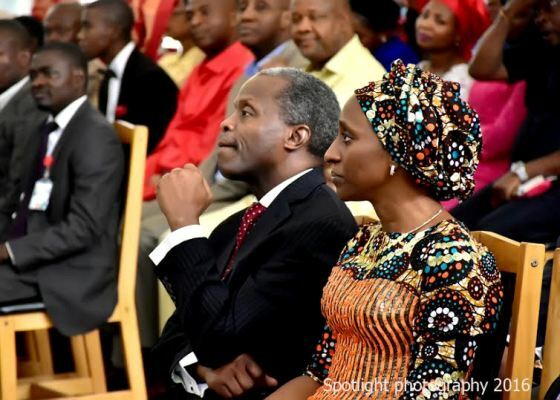 The Vice President of the Federal Republic of Nigeria Professor Yemi Osinbajo and wife spent the first part of their Valentine’s Day on a different kind of date. Call it a date with the Lord as they were both spotted at the Aso Rock Villa Chapel during the morning service. Don’t forget that the V.P is one of the leaders of the Redeem Christian Church of God which Pastor E.A Adeboye oversees.